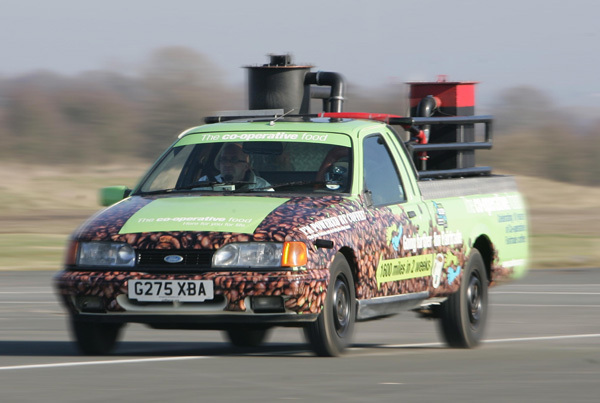 It may not be pretty, but you’re looking at the world’s fastest coffee powered car, clocking in at a not so astounding 65mph. It converts coffee chaff pellets into power by a complicated gasification process. While really just a technology demonstrator, it does show off an interesting alternative energy source for vehicles.